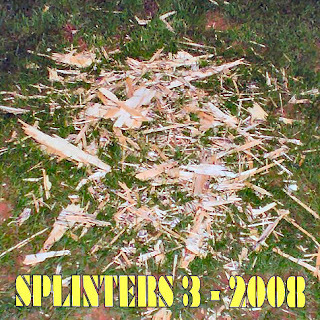 Anybody wishing to get their hands on the first CD appearance of The Lunacy Board, before any official release, now has the chance with Splinters 3. This is a double CD compilation of artists influenced by Roy Harper and includes everything from progressive rock extravaganzas to simple folk songs in a single package. At only £6.50 it’s a bit of a bargain, too. The Lunacy Board track featured is ‘The Unofficial National Anthem‘, so if you like the song and want a copy in its full CD-quality glory, rather than the mp3 version on the website, get yourself over to stormcock.net now to order it! Other news from the Board… Not so much to report – we’ve had a couple of unsuccessful attempts to get together for more recordings, but various factors have conspired against letting these happen, so no new songs or recordings to report. Work on ‘Stockholm’ continues, though at a fairly slow pace. More news on that front when it arrives. Finally, I may have another slow-boiling collaboration on the way – something quite different to the Board, but it’s all a bit tentative at the moment to let any more out of the bag at this stage. Radio Killed the Video Star Lunacy Launch Merry Humbug Where did June go?